Modest Law's PAX East'er Weekend Round Up! Modest Law’s PAX East’er Weekend Round Up! Through the rest of the week I‘ll go into greater detail on games I got to spend some significant time with: games like Transcript, Quantum Conundrum, Sleeping Dogs, and more! But for the time being, I am going to give my first impression on stuff I did and played on the show floor. So without further ado this is Modest Law’s PAX east round up. The first booth I dashed to was Ubisoft’s to get an early peek at the first gameplay trailer for Assassins Creed 3 (Sorry guys, it wasn’t playable on the show floor.) The trailer takes place during the Battle of Bunker hill in Charlestown, Massachusetts. For those who know their history, you may remember this as the battle where a American general told his troops “Don’t fire until you see the whites of their eyes,” something that you actually get to hear first hand as you approach the battlefield. The demo makes it pretty clear that Connor is a neutral party in this conflict and that he is strictly after the Templars on both sides of the war much like his predecessors Ezio and Altair. In the case of this trailer, Conner’s target is a British general on the other side of the battlefield that you have to sneak through. The game was quick to boast a NPC count of 2500 individuals on screen at once, that’s over 10 times more characters than in past games. The player is then greeted to a huge battlefield with armies facing off and piles of dead bodies everywhere. Non player behavior has evolved beyond people wandering and guards chasing you. Assassin Creed 3’s AI considers a number of factors in combat like formation and battle strategies. So for example, fighting the British means dealing with firing lines, fighting off bayonets and strict formal military formations. Americans by contrast, fight with gorilla tactics, improvised cover and keeping loose to no organization. Contrary to Internet rumors, the hidden knife is in the game and used quite a bit. Combat in the trailer allowed the player to dual wield the hidden blade and tomahawk, take human shields to protect yourself from gunfire and use the rope blade to ambush a soldier and hang him from a tree. The combat is also much more visceral and bloody than in past games, enemies for example, actually show bodily damage where you hit them. This means if you strike someone in the face with a tomahawk, his face will break open and bleed rather then just spray blood from a non-existing wound where you hit him. The player also has expanded navigation that includes realistic tree and cliff climbing, sliding over or under obstacles, and sneaking through brush and tall grass undetected. These new navigation options play into the lone wolf predatory theme the gameplay and story takes. Mobility in combat has also improved so that if you lock on to a target and charge at him, you will shove or kill anyone that gets in your way without breaking your stride or getting stuck on someone like in past games. Overall, Assassins Creed 3’s new story and gameplay additions makes the game feel fresh and new without destroying what made the games great. Look for the gameplay trailer coming out publicly really soon. Borderlands was a surprise hit with it’s unique open world coop RPG / FPS hybrid design featuring millions of unique guns. It was a dream come true for many gamers but it was plagued with a number of issues that held it back from true greatness. From my initial hands on, it would seem many of my concerns have been put to rest. Gun gameplay is now as smooth and tight as a dedicated fps with a much cleaner and better organized UI. The biggest immediate improvement however is enemy behavior and path finding. smaller enemies intelligently scurry and fly about the level while larger enemies have shielded body parts and may dig underground to take cover. The visual design maintains the sharp hand drawn look of the past game with stylized futuristic comic book style and type for the interface.This game was a favorite of the show for many people, by Sunday people were waiting in line for 3 hours just to play the game for the 3rd time. Borderlands 2 looks to be a smarter, smoother, and more polished experience. I’ve actually never played a Far Cry game before, I know its a tropical island themed game, and the second one was set in Africa and you had malaria that played into the gameplay… and that was about it. From the looks of the multiplayer, Far Cry 3 seems to be trying to capture the team focus and mobility of Battlefield, with the ease of use and level design of Call of Duty. The results are a game that feels very familiar in a new setting, despite me never playing a Far Cry game. This may be a good thing to their target audience of FPS fans, but I was hoping the game would have more of it’s own identity. Even still, its far from a bad game, its actually really quite good, I just hope the final release does more to be different from the competition. It’s no secret that we at Royal Flush are huge Harmonix and Rock Band fans. So, I was really excited to get my hands on the new arcade game, Rock Band Blitz. This new game simplifies the PSP/DS games with multiple instrument track with only 2 buttons each rather than 4 and adds power ups and clever gameplay twist to the experience. The game basically works as a solo score attack where your goal is to light and maintain every instrument track for a multiplier and maintain a streak. The result is a more frantic arcade experience that’s quirky and fun to play rather than the band simulation party game approach to past Rock Band games. The game includes over 20 songs ranging from Megadeth to Rick Ashley as well as day one backwards compatibility for all 3500 Rock Band songs that have been release for the past 4 years. New to Rock Band are power ups you can select before the game that change the experience like a special pin ball that spawns that collects the point from every gem it passes over. The longer you keep it bouncing around the more points you are awarded. Blitz hearkens back to the classic pre-Guitar Hero music game world that you could play on a controller and brings it up to date with a smart modern design that developed out of the Rock Band / Guitar Hero games. This game is a must have for Rock Band fans who want to jam their libraries in a more game like way and fans of the simpler days of music games that were all about stringing a crazy high score. 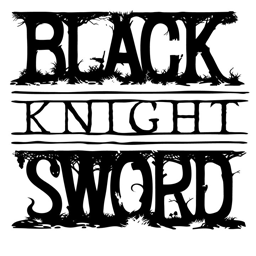 Black Knight Sword is an arcade game from Grasshopper Manufacture about the strange, bloody and disturbed tale of the black knight. The game itself is a 2D action sidescroller similar to the old Castlevania games set on a constantly changing theater. The game itself is fairly straight forward with challenges coming from enemy placement and platforming. Enemies in the game are loosely inspired by the art you might expect to find in the works like “Dante’s Divine Comedy” and are fittingly twisted and bizarre for the theme of the game. As you kill these enemies, you collect realistic looking hearts from them as currency for new abilities, extra lives and upgrades for armor and heath. This creepy and weirdly charming game has a cool retro style that fans of classic adventure sidescrollers will love, with an inspired living theatre art and theme and a creepy narrator to keep fans of Grasshopper and Suda 51 happy. Where:Boston, Massachusetts | When: April 6th to April 8th | Host: Penny Arcade, Inc.